Visiting the annual wine harvest festivals in Moravia is a brilliant way to do this in the Czech Republic. Here you’ll taste the finest wines and authentic homemade grub, uncover rich traditions of the various regions and discover the wonderful scenery of vineyards and remarkable wine towns hidden from sight. 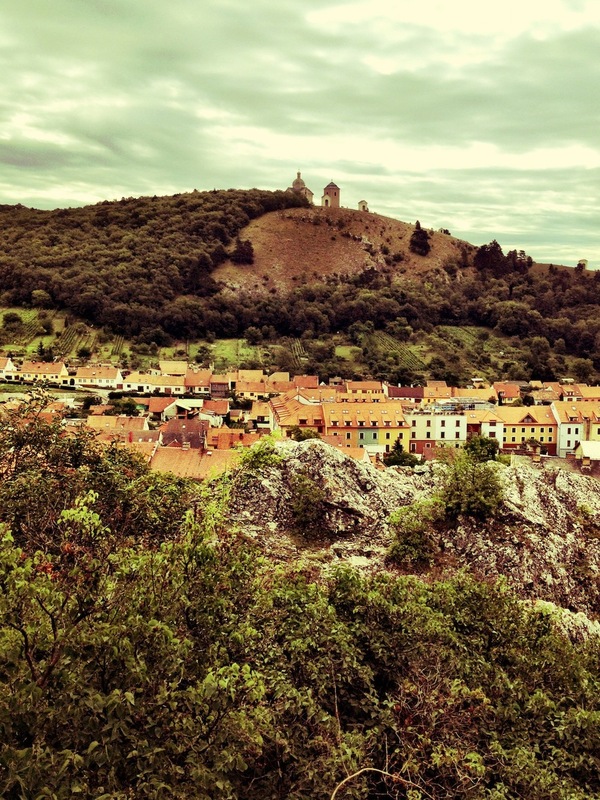 Moravia is well-known for its warmness, both of the people and the weather. The wine here is a little fresher, and the atmosphere more laid-back than in Prague. Whether you visit Mikulov, Znojmo or both, you will discover a peaceful corner of the Czech Republic and see the country in a new light. The three-day traditional festival celebrates the Mikulov lord John of Liechtenstein, who brought back the Bohemian king Wenceslas the IV from Viennese prison and provided him with shelter in 1403. During these three days, the town centre transforms into a historic crafts market, but the real feast is to be found in the chateau halls and cellars. So what can you look forward to? A historical parade with King Wenceslas the IV walking through the crafts market and the square. The military camp in the chateau park will offer several activities for children and adults alike. You can also watch crowds sing along happily as Czech folklore musicians play traditional songs. If that is not your cup of tee, you can see Czech rock bands play live, including the great Charlie Straight on Saturday. The program of the festival is so busy that it will not fit here in its entirety. Traditionally, Mikulov is celebrating the wine harvest festival on the same day as the nearby town of Znojmo. The grand festivities in the historic centre of Znojmo celebrate the medieval history of the royal town. During the festival, you can relive the atmosphere of May 1327 when Bohemian king John of Luxembourg with his wife and royal court came to the town. This stylish festival of music, dance and entertainment is accompanied by a rich program – parades with hundreds of people in historic costumes, medieval fair, military camp, various performances, theatres, competitions for kids and fireworks. But of course, wine remains the main attraction. During this unique event in my home town, you can see a mixture of temperament, folk traditions and costumes, culture, spontaneity, great food and wine and free atmosphere. More than sixty towns and villages from the entire Slovácko (wine subregion) take part in this folklore celebration. Uherské Hradiště is a royal town that offers a unique experience, a taste of live folklore and winery traditions, folk songs and dances. Add local wine and burčák tastings with some other local specialties to the mix, and you're in for a real treat. What food and drinks should you sample? First of all, you should not go home without tasting some Burčák. This fermented young wine is surprisingly drinkable, leading the unsuspecting drinker into a false sense of security. Although it looks and tastes a bit like apple juice, trying to drink burčák as if it was a soft drink can make you feel a bit tipsy at best (trust us, we've been there). Similar to most other alcoholic drinks produced in the Czech Republic, burčák is assumed to have great health benefits. In this case, nevertheless, the drink’s advocates might actually have a point: Burčák is rich in vitamins, mainly Vitamin B, and some essential minerals. Apart from Burčák, there will be plenty of wine available in every corner of the towns. For instance, you can sample some award-winning Moravian wines in the local cellars. Pickled gherkins– every family has its own traditional recipe for the right small cucumbers pickled in vinegar brine. Hence, there are tons of different flavors to choose from, but typically dill is involved. Anyway, remember that these cucumbers are the best cure for hangover ever invented (see the burčák note above). It is also hard to resist a plate of tender roast pork knee with a perfect crispy crackling, which is usually served with mustard, horseradish and crusted fresh bread… and beer, of course. Awesome crumbs pies with plum jam/ cottage cheese/ poppy seed/ apple filling. Fresh bread with lard and onion - if all the ingredients are as fresh as possible, this makes a wonderful appetizer. Slivovitz - plum brandy. This high-quality fruit spirit that has a very fresh and intense plum aroma is considered medicine by the locals – at least my grandfather used to say so . So, did you get pumped up? Then do not hesitate, pack your things and start the adventure.. or call us and join us for this unique experience.